The Come Home Love <愛·回家> franchise has been one of TVB’s more successful sitcoms in recent years, generating several additional seasons and sister productions. 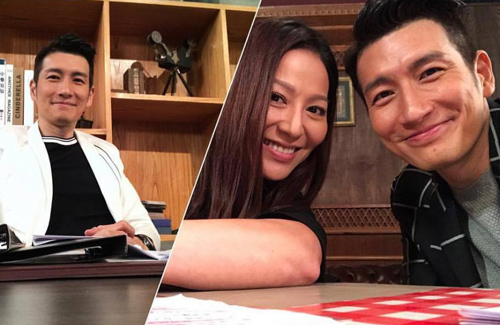 Not only is the drama heartwarming and relatable, but it has also produced several popular onscreen couples, including Queenie Chu (朱慧敏) and Lai Lok Yi (黎諾懿). The most recent installation, Come Home Love: Lo and Behold <愛·回家之開心速遞> features the popular pairing of Joyce Tang (滕麗名) and Andrew Yuen (袁文傑). The on-screen couple’s love story balances a good mixture of comical, mysterious, and endearing moments. As opposed to typical romantic storylines, Joyce and Andrew’s is quite unique. Joyce, who is the mother to a teenage boy, has stayed single since her fiancé went missing. Despite her slowly developing feelings for Andrew, Joyce remains loyal to her fiancé. This leads to many comical moments, as Joyce subconsciously daydreams about Andrew often.